Turkey's region of Cappadocia, as strange and beautiful and otherworldly as it is, is also renowned for its many ruins, preserved structures, quaint villages, and more. This full day Blue Tour allows you to embark to these various places, letting you explore Cappadocia to the full and learn about its rich history. This private tour begins by your guide picking you up from your accommodation in the area. 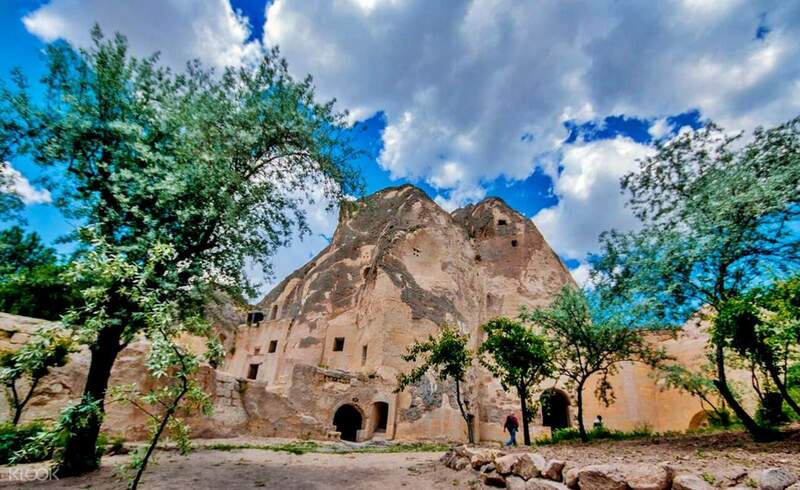 Have a relaxing ride to your first stop, Mustafapaşa, Nevşehir, one of the largest Greek towns in Cappadocia, which was already prominent during the days of the Ottoman Empire. The town is known for its beautiful elaborate houses and quaint alleyways. Next, head to Sobessos, an excavation site from the late Roman/Byzantine settlements which contains some of the best preserved ancient mosaics in Turkey. Here, you can see ruins of Roman baths, Agora, Bouleuterion, and even a sixth century church with an elaborate mosaic floor. 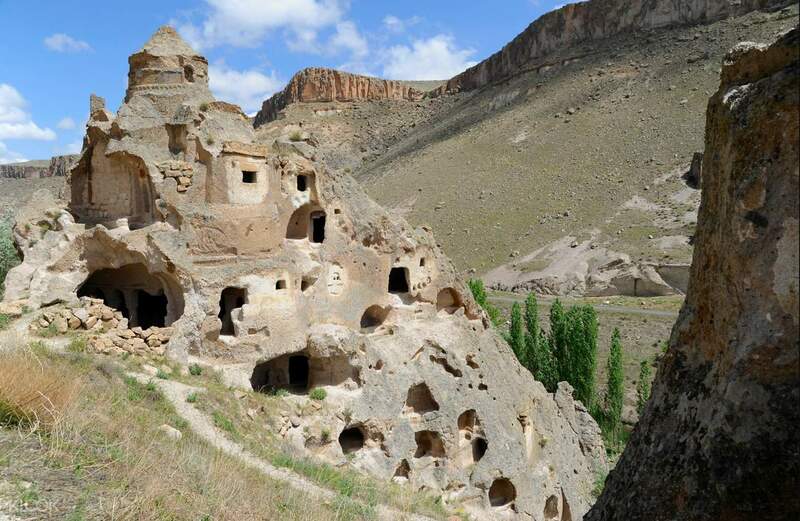 The Keslik Monastery is up next, a small collection of churches, ancient frescoes, and living quarters in the Cemilkoy district. You'll then hike through Soganli Valley, famous for its domed church and caverns. Breathe in history and learn how people in the past lived underneath the grounds. This is the last stop before you get dropped off your hotel.